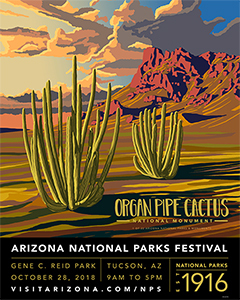 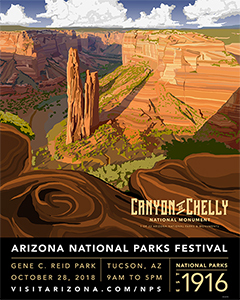 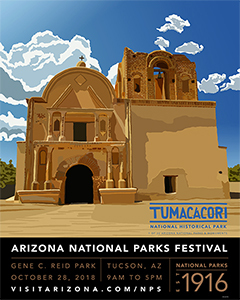 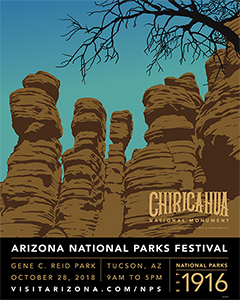 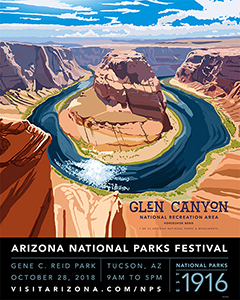 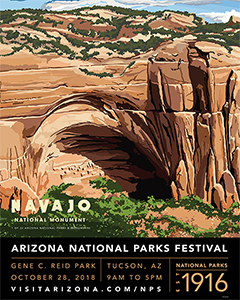 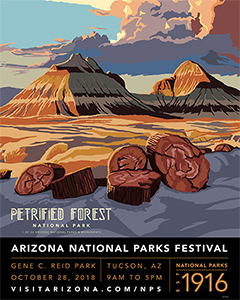 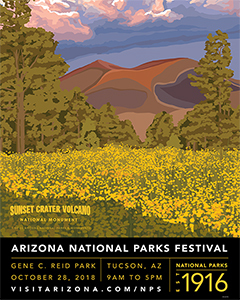 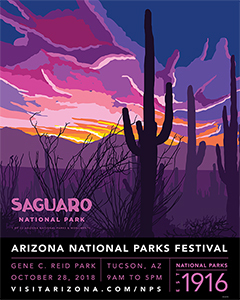 These beautifully illustrated 16”x20” posters of Arizona’s national parks were created for the Arizona Office of Tourism by local artist Daniel Shewmaker to celebrate the state’s one-of-a-kind parks. 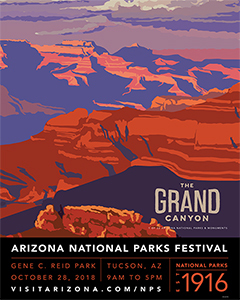 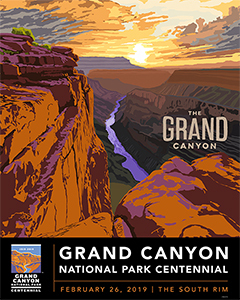 The series shown here also includes a 16” x 20” poster created to celebrate Grand Canyon National Park’s 100th anniversary, which takes place on February 26, 2019. 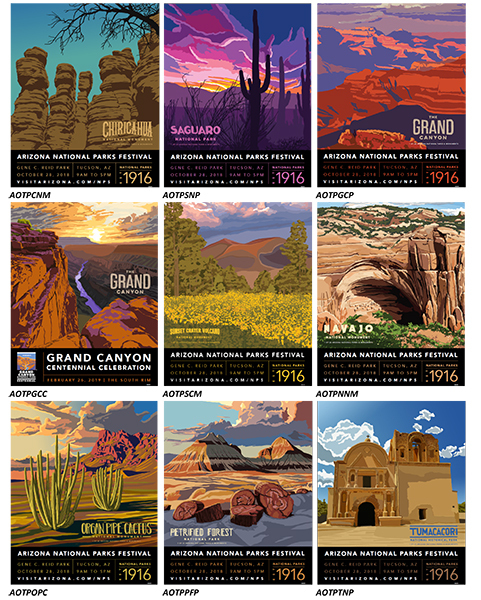 Eleven versions are available for purchase.